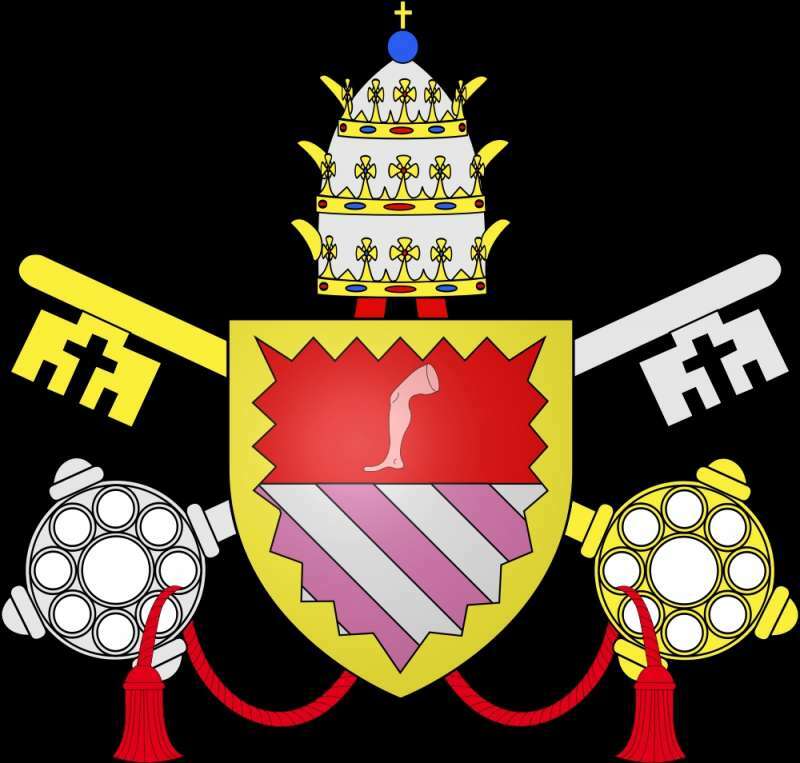 Prior to reading the biographical information about Antipope John XXIII, you may visit Ask the Expert on this website for additional information about antipopes. Baldassare Cossa was born around 1370 in the Kingdom of Naples to a noble but impoverished family. As a young man he pursued a military career that included participation in a naval war between Louis II of Anjou and Ladislaus of Naples. Cossa earned a doctorate in law at Bologna and was then appointed the archdeacon of the city by Pope Boniface IX (1389 – 1404). Because of his administrative and military capabilities he was soon made the papal treasurer despite the fact he had not been ordained. It has been said of Cossa that he was unscrupulous and ambitious and had numerous liaisons with women including his sister-in-law. Cossa assisted Pope Boniface in dubious financial policies involving simony (the selling of offices). 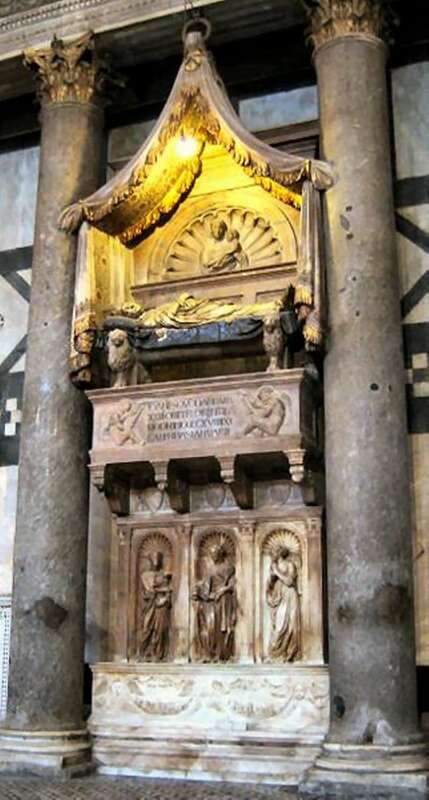 In 1402, Boniface created him cardinal deacon and made him legate to Romagna and Bologna. Not yet a clergyman, Cardinal Cossa continued his sordid lifestyle. 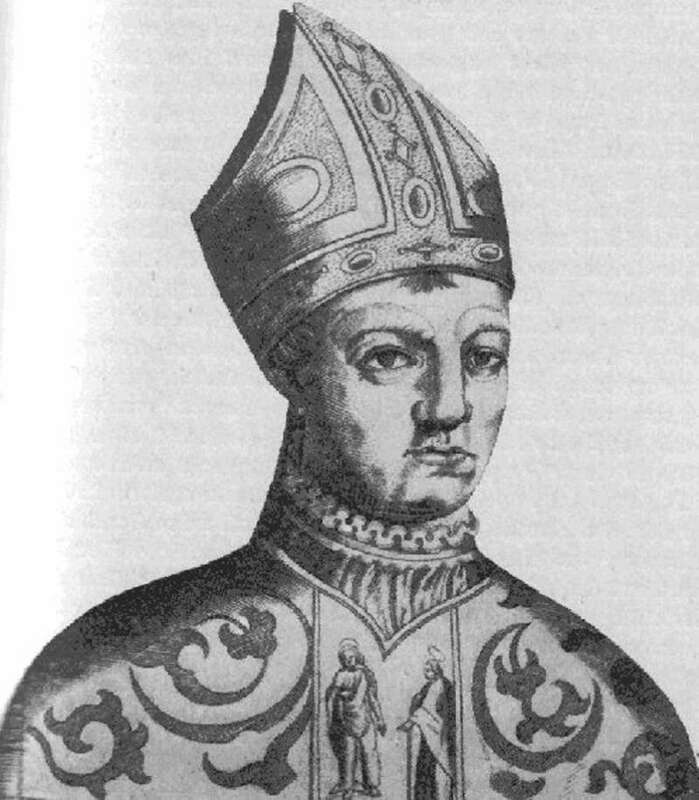 He was, however, able to restore Bologna to the Papal States because of his ruthless severity. Between 1378 -1417, The Great Western Schism occurred within the Church. What preceded it was the period known as The Avignon Exile (1305 – 1378) when a series of French popes had relocated the papacy to France. This was possible because of an unstable political climate in Rome and a French majority among the cardinals, many of whom had been created by Clement V (1305 – 1314), known to be one of the least visionary popes in history. It was believed by many that the Church would not survive if the papacy were not returned to Rome. There, its heritage included the burial of not only Saints Peter and Paul, but also many other apostles and martyrs of the early Church. 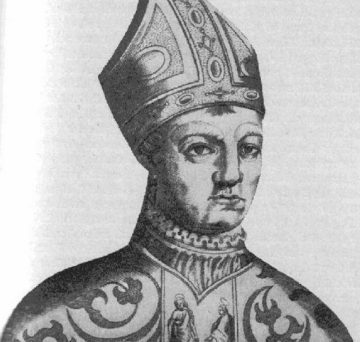 Gregory XI (1370 – 1378) sensed the importance of returning the papacy to Rome. Because of this and over myriad protestations from his family, Gregory XI did return to Rome in the midst of violence and upheaval that was so explosive he retreated to Agnani where he died while a peace conference was being held at Sarpana. Gregory’s great legacy was restoring the papacy to Rome. At the end of his life he was filled with foreboding that a Great Schism would follow his death. Gregory was correct. The Great Western Schism occurred between 1378 – 1417. Upon the death of Gregory XI, Pope Urban VI became the first Italian pope to be elected in seventy-five years. However the conclave that elected him retreated to Agnani, declared they had been intimidated by the Italian mob and announced they had elected a second pope, Clement VII, to replace him. Thus began the schism that lasted until 1417. The attempt to nullify the election of Urban VI and replace him with Clement VII led to rival popes elected by the same conclave. The result was one line of popes in Rome and another in Avignon. It is important to note the Church considers the Avignon popes to be antipopes, that is, those popes who claimed the office without the legitimate right to do so. An antipope is not, as is sometimes thought, an antichrist. He is simply an illegally elected contender for the throne of St. Peter. In 1409 a council at Pisa attempted to end the schism but created even more havoc when it rejected both the Avignon and Roman claims to the papacy and elected a third pope, Alexander V. Gregory XII was the Roman claimant; Benedict XIII was the Avignon pope who was later considered an antipope. In 1408, Cardinal Cossa (who was still not ordained) was one of the cardinals who had broken with Gregory XII and joined a group previously loyal to Benedict XIII. Together they engineered the election of Pope Alexander V. During Alexander’s short reign, Cossa exerted the most influence over him. When he died suddenly—and some sources say Cossa poisoned him—the Pisan party of cardinals unanimously chose Cossa as his successor. At this point, he was ordained a priest and became the antipope, John XXIII. John had armed forces at his disposal and the support of the ruling monarch of France, Louis II of Anjou. Despite the three contenders, John XXIII wielded the most influence and the widest support. He was able to reestablish himself in Rome where he summoned a council in 1412, which was poorly attended. What followed was much political jockeying for support by various kingdoms that included Naples, the German kingdoms and France. In 1414, a council was called in Constance for the express purpose of ending the complex divisions. The council argued for abdication by all three claimants. Gregory XII resigned. The German king, Sigismund tried to persuade Benedict to resign, but he refused, and was still refusing in 1417 when the Council again declared him deposed. Benedict was defiant until his death in 1423. John XXIII fled and sought refuge in Freiburg. He hoped to disrupt the council. Instead the assembly proclaimed its superiority over the papacy. They brought him back as a prisoner, tried him for simony, perjury and gross misconduct and at their twelfth session deposed him. He eventually renounced any right to the papacy. He was held in confinement in Germany. In 1419 he purchased his liberty with funds provided by the Medicis. By that time Martin V had been legally elected. John XXIII (Cardinal Cossa) made his submission to Martin who in turn appointed him the cardinal bishop of Tusculum (Frascati). Within months he was dead. 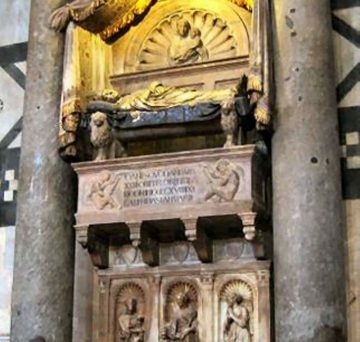 The Medicis erected a magnificent tomb for him located in the baptistery at Florence that even included the papal insignia. An artifact from his years as antipope is coming soon.